I have a quick story about this Pinto Bean Soup, or, as we call it in Mexico, Sopa Tarasca. My cousin visited the State of Michoacán, Mexico, with his kids, and he introduced them to this delicious, local favorite. They loved it so much, over the next few days, the kids would order Sopa Tarasca in every restaurant they went to. In partnership with Mirum, Knorr® and Unified Grocers. Later in their trip, when they continued their travels to another Mexican State, the kids wanted their daily bowl of their favorite Pinto Bean soup. As they scanned the menu of the first restaurant in the new State, they became more and more frantic when they couldn’t find it. They couldn’t believe their favorite soup wasn’t available in every restaurant in Mexico! I hope that gives you an idea of just how delicious it is. Our family loves Sopa Tarasca, we love cutting the tortillas strips, roasting the vegetables, and everything about it. Most of all, when we prepare it together in the kitchen, we love retelling that story and laughing about it every time. You probably already know that if you look into any Mexican kitchen, there are certain staple ingredients you will likely always find there. Beans, tomatoes, chiles, limes, onions, corn tortillas, queso fresco, and Knorr® Bouillon, just to name a few. 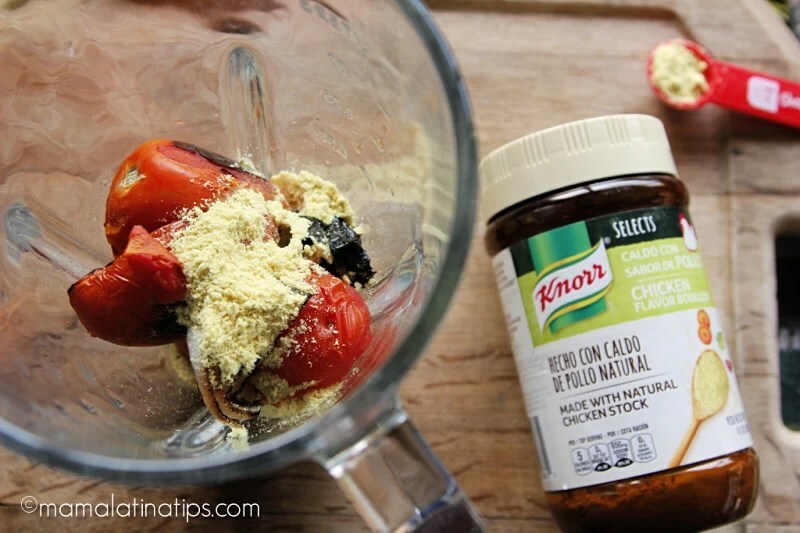 In this recipe, I used the New Knorr Selects® Granulated Chicken Flavor Bouillon. I’m pleased to let you know it’s made with natural chicken stock and contains zero artificial flavors or colors, preservatives or added MSG. So you can add the rich authentic Latino flavor of Knorr to all of your dishes, now with ingredients you can feel better about. While at the market, I saw they offer Knorr Selects Beef Granulated Bouillon, Knorr Selects Vegetable Granulated Bouillon, and Knorr Selects Granulated Tomato Bouillon with Chicken Flavor as well, so you can find the exact one that’s perfect for enhancing the flavor in any recipe, including chicken dishes, soups, stews, sauces, rice, mole, vegetables and pasta. 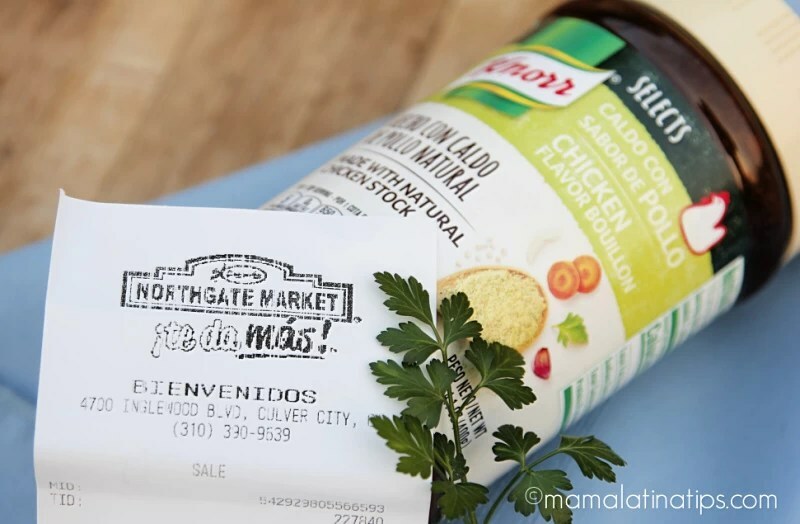 I got mine at the Northgate market in Culver City, California, so I know you can find yours there, too, or at any of the other Unified Grocers stores near you like Cardenas, Superior, El Super, and Super King. If you make your own pinto bean soup, be sure to snap a photo and share it with us on social media using the #mamalatinatipsrecipes hashtag. I’d love to see it and have a chance to share it as well. Roast tomatoes, onion and garlic on top of a comal, or pan. You can also roast them in the oven. Turn them as they roast. This will take approximately 15-18 minutes. With kitchen scissors, cut 1/4 of one of the chiles anchos and place it with the roasting tomatoes. 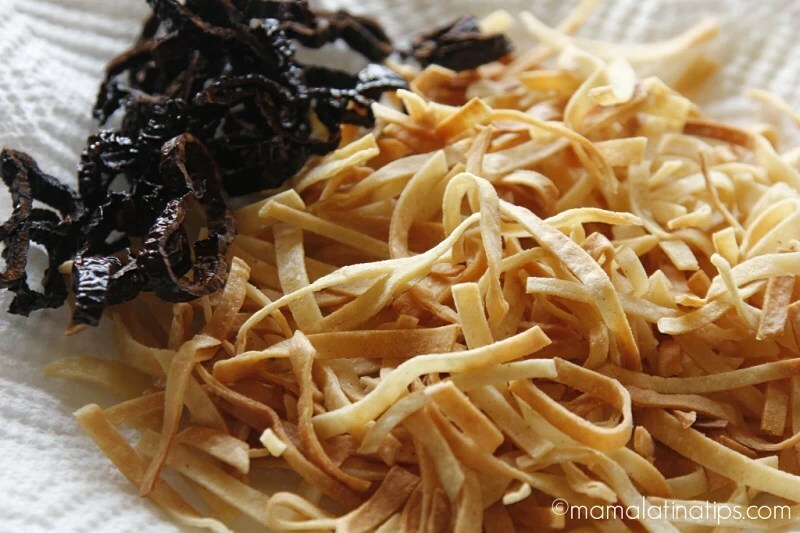 Keep cutting the chiles in thin slices, set aside. 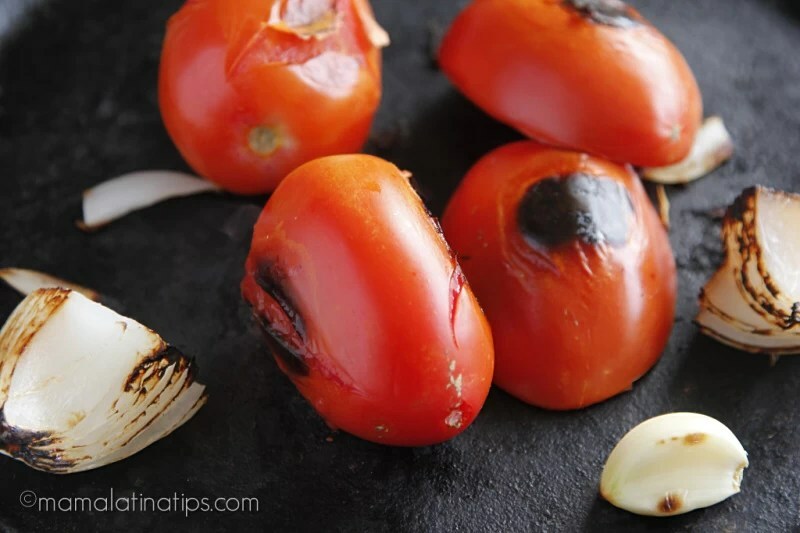 Place roasted tomatoes, onion, garlic and the roasted piece of chile ancho pepper in a blender. Add Knorr® Selects Chicken Flavor Bouillon and one cup of water. Mix well. In a pot or dutch oven heat up one tablespoon of the oil, strain the tomato sauce into the hot oil. 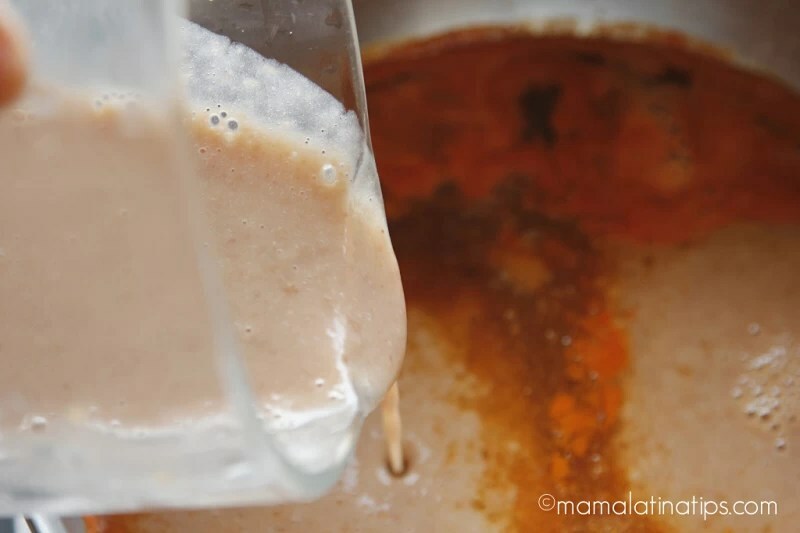 Lower the temperature, cover and let it simmer for 5 minutes. Next, blend pinto beans with the remaining 2 cups of water and pour into the tomato sauce. Add bay leaf and black pepper. Bring to a boil, lower the temperature to medium high, cover and cook for 15 minutes. Taste for salt. While soup is cooking, pour the rest of the canola oil in a warm pan over high heat. 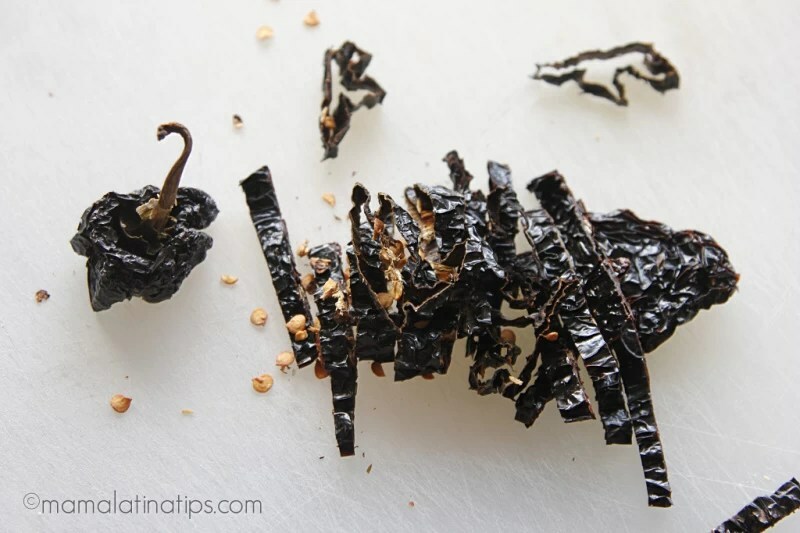 Carefully add the strips of chile ancho and as soon as they hit the oil, remove them from it. (yes, it’s that fast, if you don’t remove them quickly they will become bitter). Next, carefully place 1/3 of the tortilla strips in the hot oil and fry until crunchy, don’t take your eyes of them, they can burn really easily. Repeat with the other two thirds of the tortillas strips. Set aside. 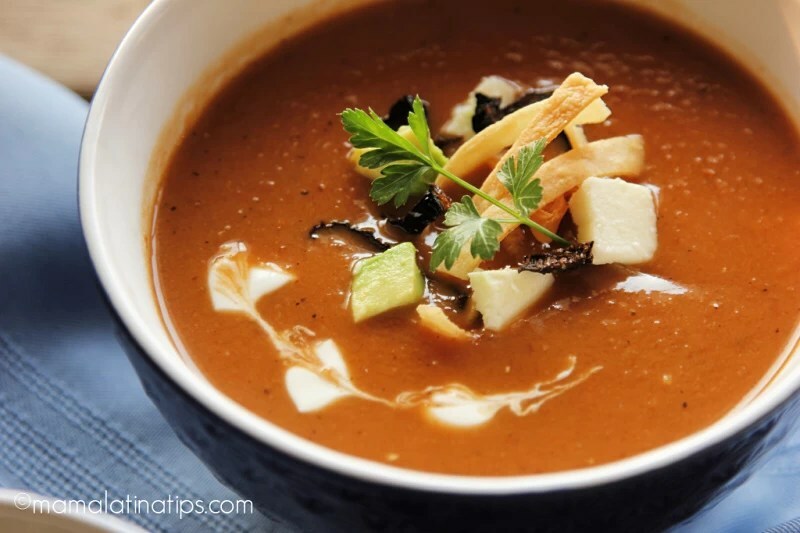 Serve the soup, garnished with cheese, tortilla strips, avocado, a piece of the fried chile ancho and sour cream to taste. Which recipes do your family love best? Let me know in the comments and be sure to try this Knorr Chicken Taco recipe for even more #KnorrSabor inspiration! The flavors in this soup are amazing. I think this needs to be made for dinner. This looks so yummy and healthy at the same time. Loving the colors especially for a Mexican dish, it gives you that feel of a home-y soup. Tomato gives so much flavor in a dish. Thanks for sharing the recipe! Will surely look for that kind of seasoning as well here in our country. I agree tomatoes give a lot of flavor to a dish. This is an example of this. One thing I do love about this season is enjoying soup around this time. Now I would like to try this pinto bean soup I like it doesnt have meat in it. We hardly have mexican cuisine over here and glad to learn some recipe here. Great for our Xmar party meal. Going to surprise my friends and relatives for sure. Hmm… yummy! This sounds perfect as a winter warmer on a cold night. Thanks for sharing! Thanks for visiting, this soup is ideal for a winter night. It’s funny how there are family recipes that just stick. My Dad used to make a salad that he picked up the recipe for when he lived in Spain (with a couple of adaptations) which uses potatoes, tuna, boiled eggs, olives and mayo – I ADORE it. This soup looks lovely for winter. Thanks for sharing your story. Yes, this soup is great for Winter. This looks DELICIOUS!! I am a vegetarian, so I always love a recipe that I can make for me (instead of having to modify). I also LOVE Mexican food, so this is right up my alley! I love soup and I love pinto beans. So I think I’m going to have to try this recipe! OMG this soup looks so so so yummy! I want to try to make it!!! I love pinto beans! The soup sounds like a total winner! I think the contrast of the smooth soup with the crispy tortilla strips sounds divine. Also, I bet the Knorr bouillion adds just the right amount of umami to the soup. Yum!! Yum is right! This soup is so comforting and delicious. Knorr worked great! I have not had any sort of bean soup n a LONG TIME. This looks like it would be so amazing. It is, thanks for visiting! This looks wonderful. I grew up with a pot of beans a permanent fixture on my grandmother’s stove. I’d love to try this recipe for my family. I would love to try this and eat it with rice or potatoes. I’ll cook the vegan option of course. Pinto beans are versatile and great. 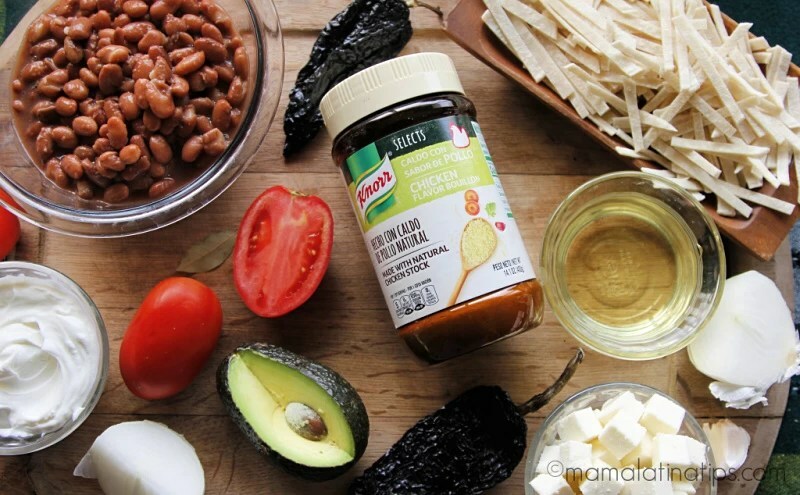 Yes, pinto beans are so versatile and delicious! I’ve never tried roasted tomatoes. I bet they are good though. I love bean soup. It’s getting colder and having something to sip will be a lot of help to warm up out bodies. I have never tried making this so I think its the best time to try it out. This looks delish! The best soup I have had was while in Cabo. I will have to save this recipe for future use! I love that! “La Reina de la Sopa.” Chiles anchos are one of my favorite peppers as well. That loom and sounds good! The authenticity of the soup I bet makes it taste even better. How would you charge ge cooking instructions for crockpot cooking? This looks so delicious! All of the pictures are literally amazing too they make this post look soooo good. I love love love Mexican food! I am definitely making this soup! Great! Come back and let us know how it turned out. 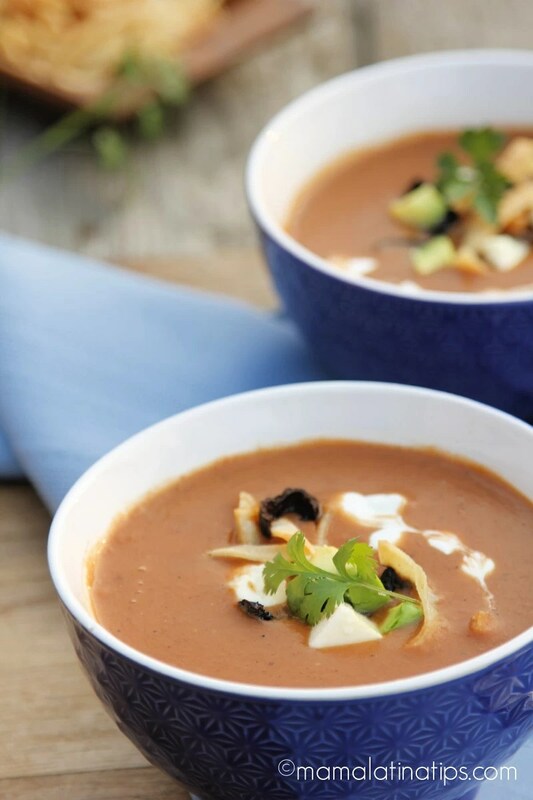 This soup is so perfect and delicious for winter days. I love it and it so authentic!! Thanks for sharing. I’ve never heard of Sopa Tarasca, but I sure am going to make it! I know my family would love this! It is very popular in Mexico and so easy to make. It’s delicious and comforting.